The Audubon Christmas Bird Count (CBC) is run by the National Audubon Society in partnership with Bird Studies Canada, the North American Breeding Bird Survey, and the Cornell Laboratory of Ornithology. Birders of all skill levels are urged to participate in the 116th Christmas Bird Count, which begins December 14th, less than two weeks away! If you are an experienced birder you may be asked to lead a field party that covers a specific area within the 15 mile diameter of your local count circle. Not only is this an excellent way to support bird conservation but you can also influence younger or less experienced birders by helping them identify birds and build their confidence in bird identification. Participation on the Christmas Bird Count is FREE! You can find a Christmas Bird Count circle in your area here. Let’s get out there and really discover how are local birds are doing! 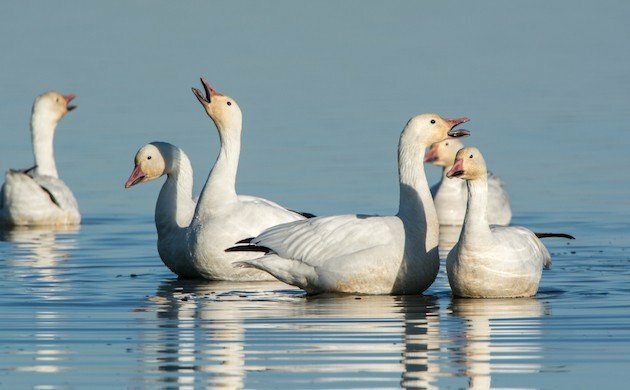 Join in a Christmas Bird Count today! Can’t wait for the CBC. Just a note that the Christmas Bird Count circle is 15 miles in diameter, not radius.